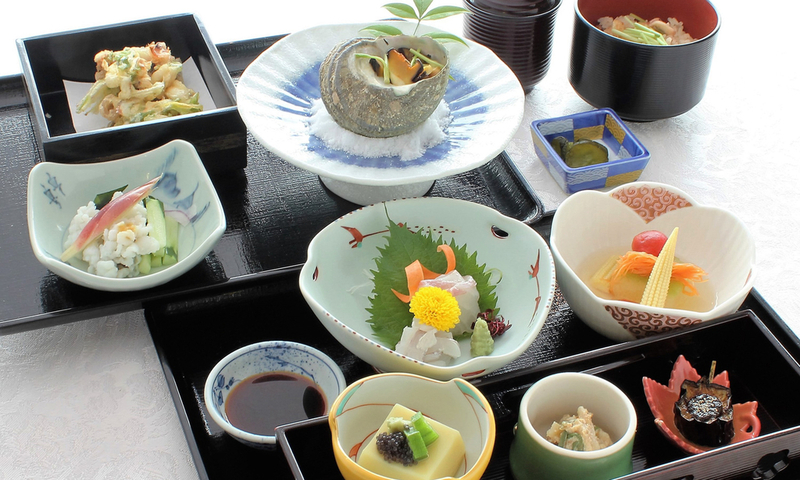 Kaiseki ryori is a traditional Japanese multi-course meal. It started in Kyoto as a light meal served before a tea ceremony. The original kaiseki ryori was vegetarian with a bowl of soup and three kinds of simple dishes. This food culture became sophisticated while serving aristocrats. Dishes come one after another on fine plates and bowls. Today, it is mainly served at high-class restaurants and Japanese-style hotels. It is regarded as the highest art of Japanese dishes.